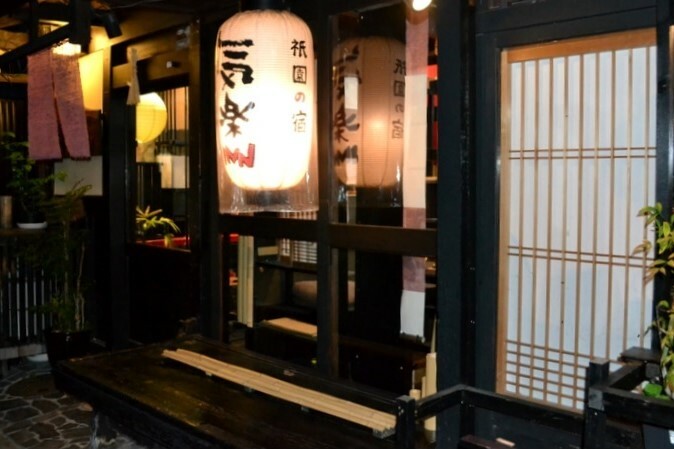 Our Machiya-yado is located in the Gion the heart of a Kyoto. Being embraced by the quiet environment of Shirakawa stream, Taking a step from our inn, there are plenty sightseeing spots. And it can be flexibly accessed by using 3 traffic networks . And Our inn is a traditional KYOTO town house renovated inside comfortably. A lot of sightseeing spots are within walking distance! 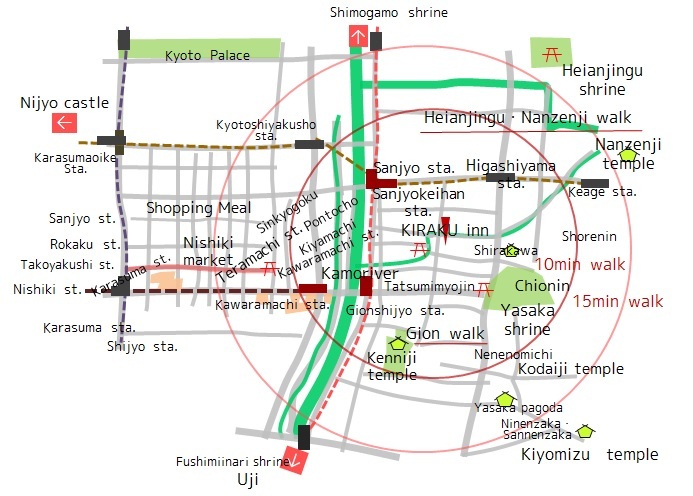 A lot of sightseeing spots representative of Kyoto are within walking distances! Such as Yasaka Shrine famous for Gion Festival, Gion Shinbashi, Kiyomizu Temple, Heian Shrine, Nanzenji etc…. East, West, North, South! Near, Far! Flexible traffic access by Keihan, Hankyu, Tozai, line & Sanjyo staion Bus terminal. 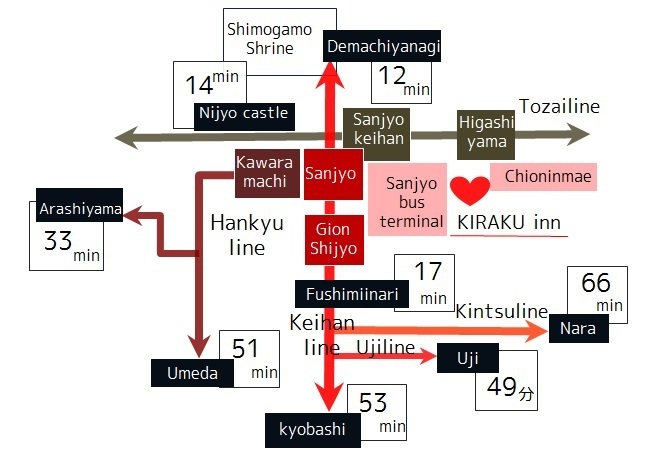 ※To see the Route map, click here. ※The required time is the total of the walking time to the nearest station and the boarding time. 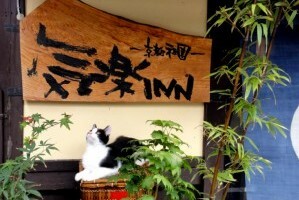 Our inn is located in the corner of a famous antique art street such as pottery from the ukiyoe. And the Shirakawa river is near our house house and carries icy cold fresh water Mt. Hiei. It is all of fatigue on work and a trip. You can take a rest relaxedly. 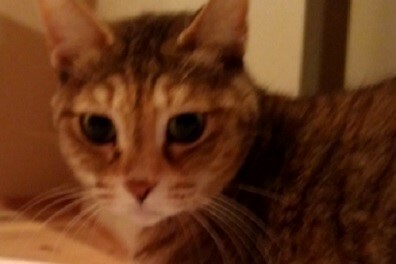 Male cat "Tama" and Female cat "Me" live in the inn. The manager's Tama will meet you at the reception desk. About our cats Tama & Mi click here. Traditional and old fashioned yet new and comfortable. 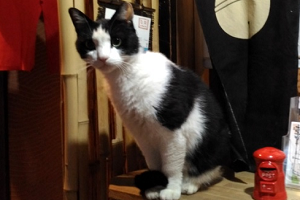 Machiya represents the essence of KYOTO. 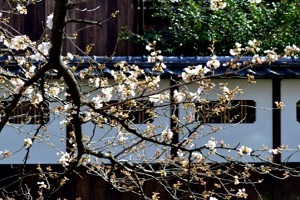 This building was renovated Japanese Machiya to provide comfort while maintaining its tradional beauty.Machiya is traditional wooden architectural style.